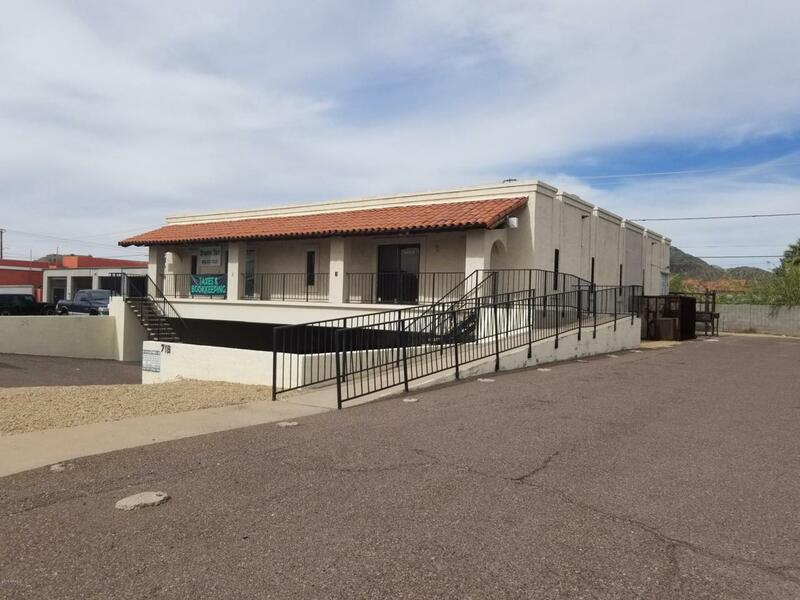 EXCELLENT OPPORTUNITY TO OWN A WELL MAINTAINED BUILDING IN THE UP AND COMING SUNNYSLOPE AREA. AMPLE GARAGE PARKING AND ADDITIONAL PARKING ON SIDE LOT. PERFECT FOR AN OWNER USER OR LEASE UP AND HAVE A STABLE INVESTMENT. LONG TERM TENANT IN PLACE. CURRENTLY 40% +/- OCCUPIED. DRIVE BY ONLY. BUYER TO VERIFY ALL ITEMS AND INFORMATION OF IMPORTANCE. Listing courtesy of Arizona Brokerage Company Llc.